Each year families across RI are asked to give feedback on their child's school through SurveyWorks. 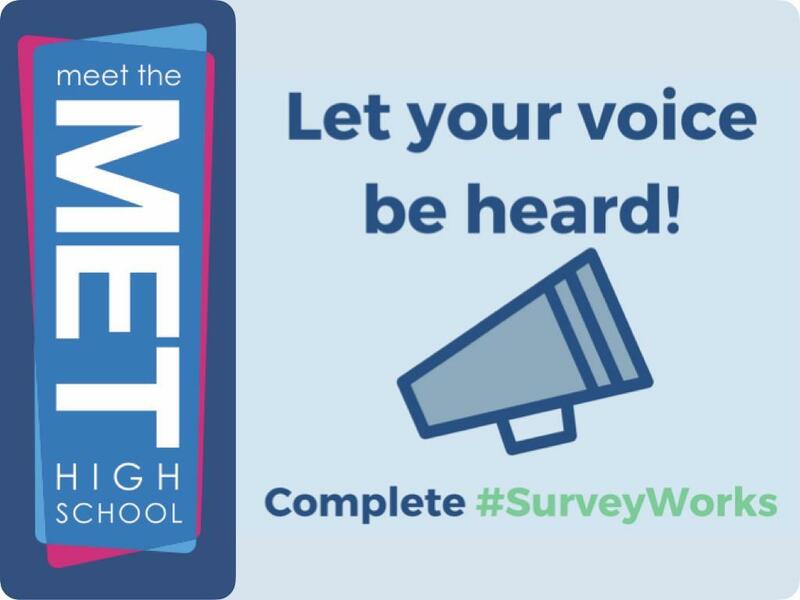 You can take the survey from any device by following directions below or, when you come for your student's exhibition in March, you can take it here at the Met. Step 4: You have now accessed the family survey. In the top left hand corner, there is a drop down menu. Select English or Spanish or Portuguese. Step 5: For each question, select the answers that best apply to your experience and beliefs. Once finished, click “Submit,” and you are done!